It's been 5 months since I arrived here. I realized it's been long enough to finally talk about my work. Not that I kept it secret. Let me begin with talking about Japanese government's ODA (Official Development Assistance). This ODA (in the fiscal year of 2012, roughly about US$6800 million) is used in various development projects in developing countries. Japanese government is also a big donor to numerous NGOs and International organizations. During 1990's Japan was the top donor in the world but due to its economical recession, ODA has dropped to the half of its peak amount. Out of ODA, the government allocates a certain amount to specifically what we call “Grant Assistance for Grassroots Human Security Projects (GGP)"
GGP is designed to reach relatively small groups of people, by providing small amount of grant (fund) to projects that are usually proposed by local communities, NGOs or local authorities who tend to be overlooked by big projects that make it to front page of news. The numbers of projects and its agility are what make GGP special. Therefore its maximum grant amount is no more than 10,000,000 yen (about US$120,000 as of 2012) which is not a lot, but we just do lots of projects! To make GGP work, lots of prompt paper work, field trips, reports, ceremonies and necessary measures are required. And that's exactly what I do here in Tajikistan. 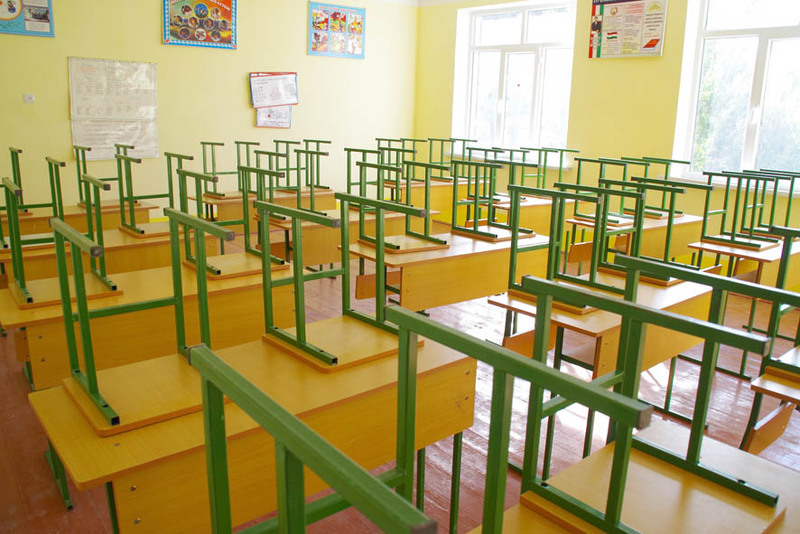 This photo was taken after completion of the rehabilitation of a school. 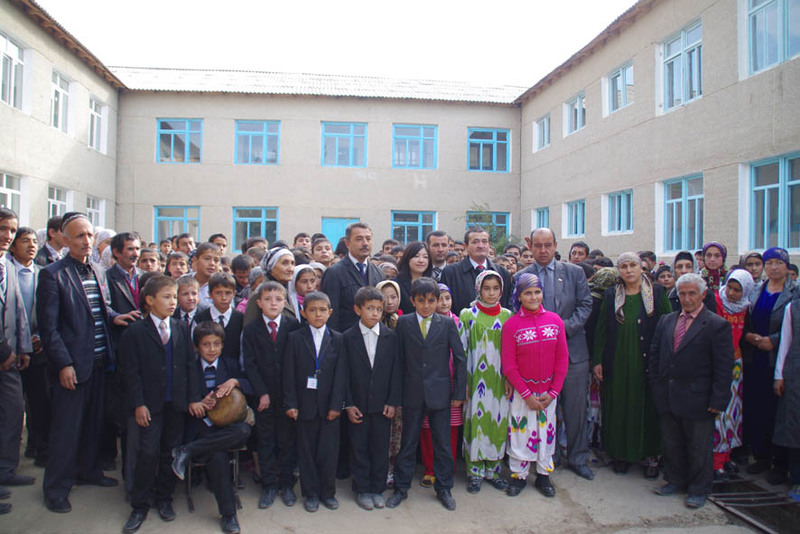 Students and faculties of the school celebrates the opening of the new school building. 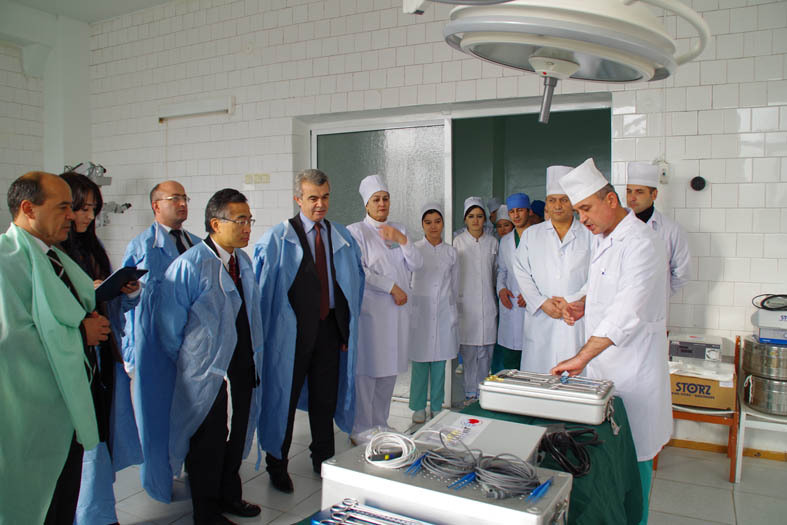 Improving health sector by Installing new and modern medical equipment is one of the most demanded in this country. Other than what's been shown above, in recent years GGP has supported an NGO to build a women center to protect and empower women, helped water association renew their water pumps to irrigate their farming lands, and provided farmer's unions by with agricultural machineries to improve their productivity and generate income. 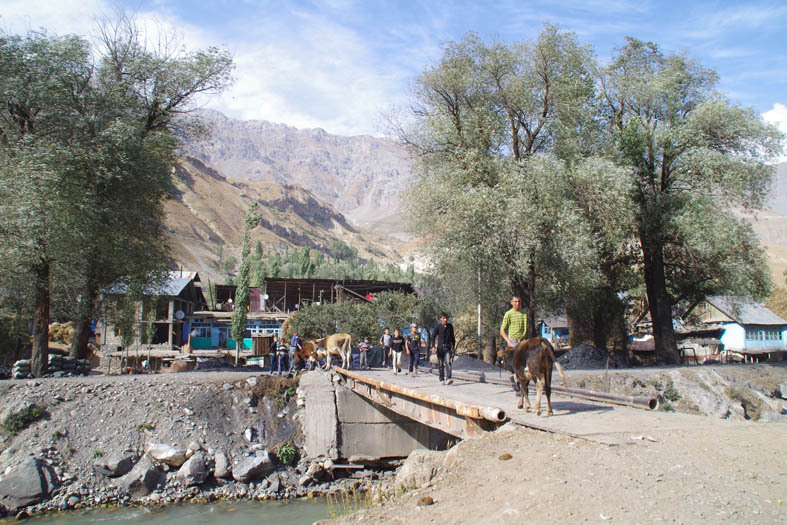 In Tajikistan, since 1996, GGP supported over 290 projects and the total of grant amount is over US$22mil. What's unique here is how languages are spoken by Tajik people. The influence of soviet-time still remains strong in this country and language is no exception. Many people speak in Russian. However, the presence of Tajik(their mother tongue, very similar to persian)is also strong. Therefore, for instance, at my workplace, people are speaking in Russian, Tajik and English. They can switch languages depending on who they are talking to. Outside, English doesn't help you much. You've gotta be able to speak either Russian or Tajik. I am learning Tajik now but still have difficulties sometimes.